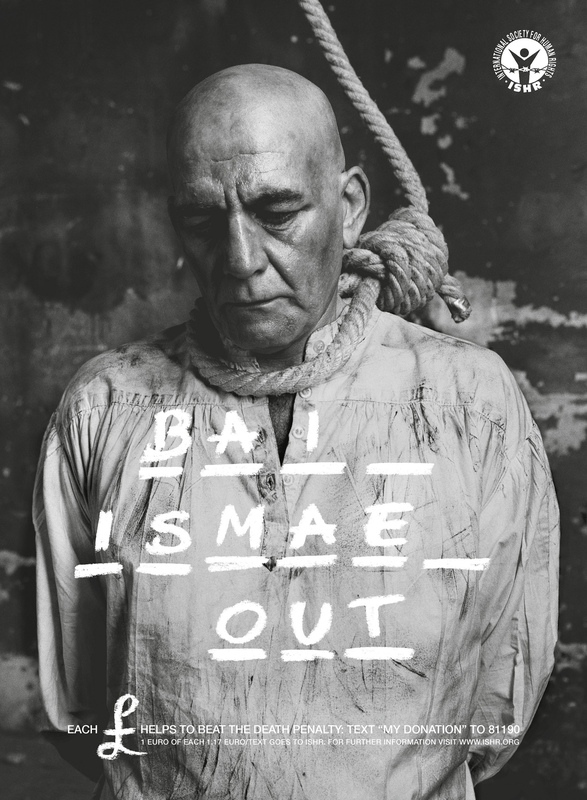 ISHR, the International Society for Human Rights, ran “Hangman”, a poster campaign in major airports using the Hangman word game to encourage readers to donating $, €, £ or ¥ via text message. 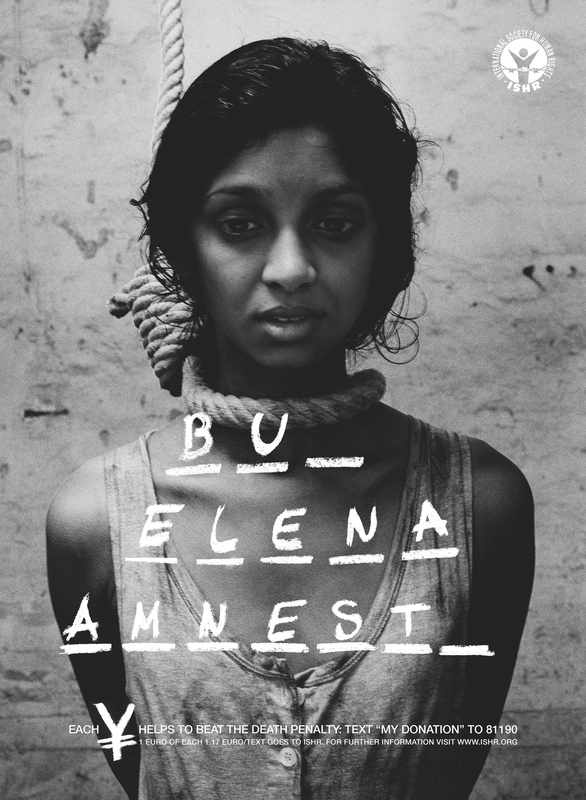 Elena, Diego, Latif and Ismael represent people whose lives are held in the balance by state leaders in countries like Iraq, Egypt, Eritrea or Sudan. 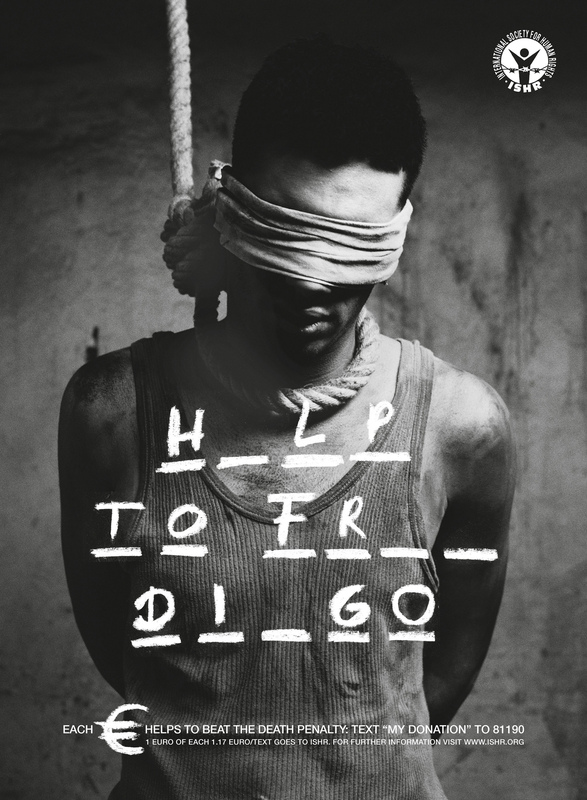 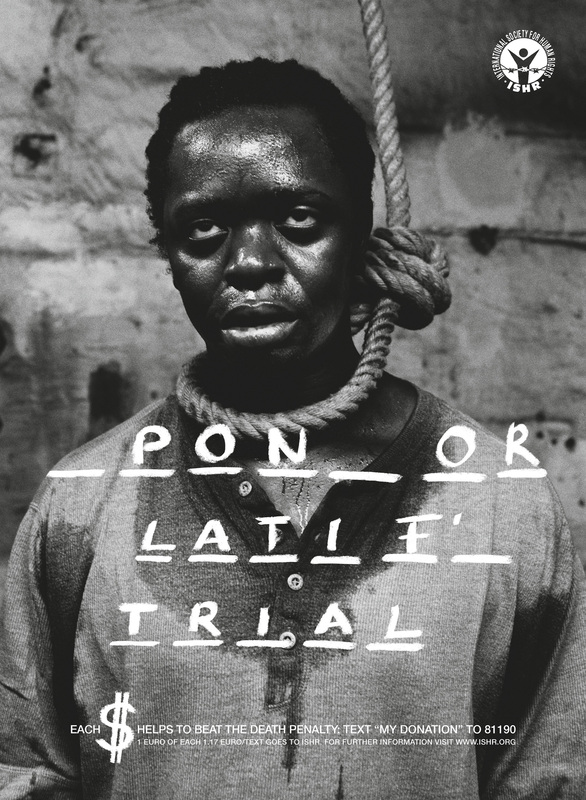 The Hangman campaign was developed at BBDO Proximity Germany, Dusseldorf, by creative director Michael Plueckhahn, copywriter Dominique Becker, art director Sven Knaebel, creatives/managing directors Christian Mommertz and Sebastian Hardieck, chief creative officer Wolfgang Schneider (BBDO Germany GmbH), account director Liselotte Schwenkert, junior account director Judith Hillebrand, print producer Bernhard Burg, art buyer Birgit Paulat, photographer Robert Eikelpoth.